The team at LAX has been challenged to build flexible, sustainable facilities that can be utilised in the future, while maintaining efficient operations. We are making great strides to rebuild LAX with a well-defined $14 billion capital development programme that includes solutions to solve roadway and traffic congestion, provide a connection to mass transit, and significantly upgrade airline terminals. Our guests are already enjoying the benefits of an $8.5 billion terminal renovation initiative that began with the transformation of the Tom Bradley International Terminal (TBIT). 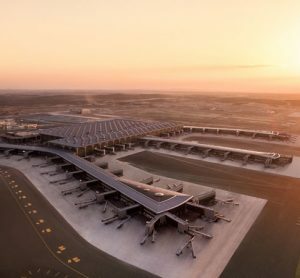 Other projects that nearing completion or are wrapped up include the transformation of Terminal 2, the airport’s second-busiest international terminal, and the modernisation of Terminals 5 and 6. Southwest Airlines is undertaking a $507 million renovation of Terminal 1, while United is spending $573 million to modernise Terminals 7 and 8. Both of these projects are scheduled to finish in 2018. 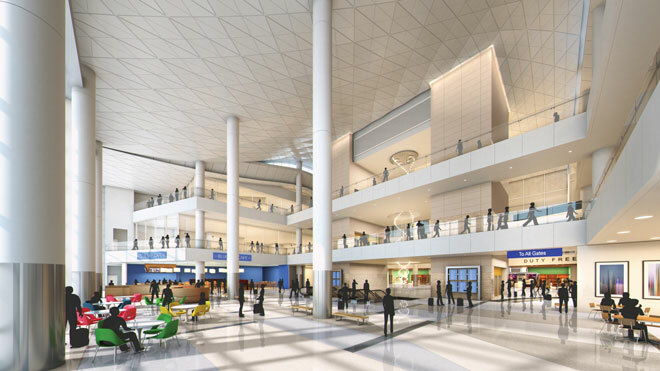 Passengers now have an easier time making connections on the south side of the airport with the addition of a connector building between TBIT and Terminals 4 through to 8. Delta Air Lines and LAWA recently signed an agreement that will see the carrier move from Terminal 5 and 6 to Terminals 2 and 3. This project will create a more balanced and efficient airport for both customers and airlines, as well as allow for the co-location of Delta with its airline partners. The move will require Delta to invest a minimum of $350 million in renovations and relocation costs of affected airlines, with further future potential investment between $650 million to $1.51 billion. 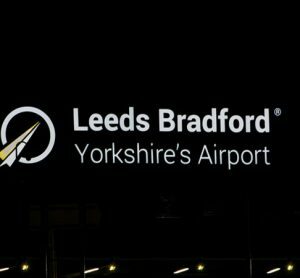 That investment could be used to renovate Terminal 3, and be part of eventually connecting the north-side facilities to the International Terminal. While we invest in our facilities, getting in and out of LAX is still unpredictable, it’s unreliable, and it’s uncertain. For our 52,000 employees, the record-breaking numbers of passengers expected to reach more than 78 million this year, along with those travelling to meet and greet, it is a huge problem that we have to fix. The proposed Landside Access Modernisation Program (LAMP) would provide certainty, and bring LAX into the modern era for the modern traveller – to ensure that LA is a global gateway. 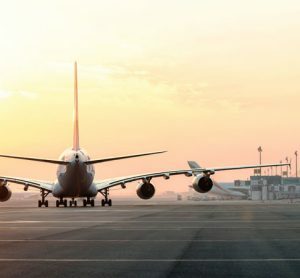 The $5.5 billion programme, currently subject to an Environmental Impact Report process, is designed to relieve traffic congestion within the airport’s Central Terminal Area (CTA), on surrounding streets and connect the airport to Los Angeles light-rail public transit system. We are moving forward aggressively on LAMP. We are planning the country’s largest rent-a-car centre, the anchor – on one end – connected by an Automated People Mover (APM) system of approximately 2.25 miles, anchored with two intermodal transportation facilities, parking garages, and meet-and-greet areas. The automated people mover will then connect to three elevated stations in the airport where travellers will use moving walkways to access terminals. The programme will extend the footprint of the front door of the airport, which as we know, in today’s time, also helps to improve our security position and our security posture. Not only would this far-reaching project help modernise the airport, but we would deliver it in a modern way, with its two largest elements, the ConRAC and the APM, built through public-private partnerships, and then operated and managed by the selected firms. That means the firms we work with would have some ‘skin in the game’, and we anticipate that would help those projects come in on time and on budget. This transformation of LAX also offers a chance to create opportunities; breaking down barriers to provide a pathway, a roadmap, a runway to economic empowerment. LAWA has a critical role in cultivating opportunities for small, local and diverse businesses. The projects underway at LAX, and those being planned, are of a size and duration that new jobs and opportunities for small local and diverse businesses must be created. We are committed to a culture of opportunity and inclusion, and this is a key indicator of success for the organisation and its leadership. I have made a personal commitment to find capable, smart, small businesses, and give them opportunities to become involved in our capital projects. While facility and access improvements at LAX will go a long way toward satisfying passenger expectations, the true success of any airport is its ability to provide exceptional customer service. 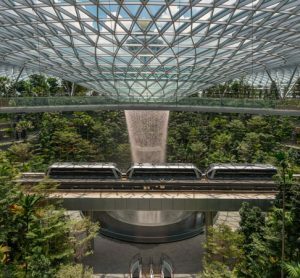 When you think about the world’s highest ranked airports, we hear about butterfly gardens, yoga rooms, running paths, world-class shopping and dining – amenities today’s passengers expect. This is a cultural shift that we’re seeing the airlines respond to, and airports have to respond to it as well. At LAX, we are adopting a hospitality mindset with a new guest experience initiative that will include elements such as customer-service training, performance measures/mystery shopping and rewards and recognition for high performing employees. Most of the shopping and dining choices at LAX reflect Los Angeles’ diversity, culture, cuisine and lifestyle. Visitors to LAX can experience Southern California right at the airport. There is no better way to welcome guests to our great city or send them off with wonderful memories. There is great style at the airport and much more to come. 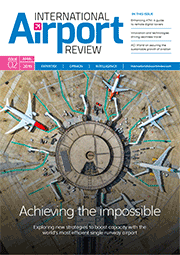 We know that technology also plays a critical and an integral role at LAX. It affects all airport functions from security and safety, airfield and landside operations, to how we innovate and communicate with our business partners and community stakeholders, and how our guests experience our airports. Looking into the future, technology will give us the opportunity to improve the passenger experience such as like creating a checkpoint that is not like anything we see today, perhaps something that is actually free-flowing and all-encompassing. With LAX experiencing yearly record passenger growth, we need additional airline gates. The Midfield Satellite Concourse (MSC) North Project, or what we call ‘The Wave’, will provide some relief, and is being developed under a Design-Build procurement contract. Located west of the new Tom Bradley International Terminal, phase I of the MSC will have 12 gates. Preliminary work is already underway, and construction will begin in earnest after a ground-breaking later this year. Phase I will be built at a cost of $1.33 billion, and will be completed in 2019. My vision for LAX is to return it to iconic status, make it the airport that other airports measure themselves by. The ultimate goal is to have LAX ranked at the top of global airports, and have the city be proud of its airport and that it truly reflects Los Angeles. 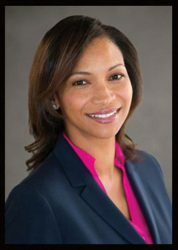 Deborah Flint recently marked her first anniversary as Chief Executive Officer of Los Angeles World Airports after serving five years as Aviation Director for the Port of Oakland. She leads the team responsible for returning LAX to iconic status, overseeing the largest public works project in Los Angeles history.